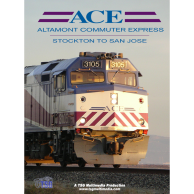 Steam Trains Galore is a video produced by Mike Armstrong (CoasterFan2105). All aboard! 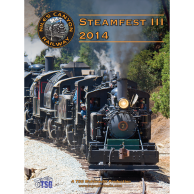 Come along for a look at several steam trains running in the western United States! 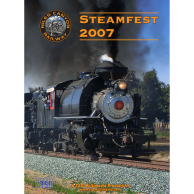 Steam Trains Galore is a 28 minute long video that features numerous shots of all sorts of different steam trains. You will see everything from small park trains to the big steam trains that make occasional runs on the main line today. This video is not narrated and there are no captions on any of the video clips. 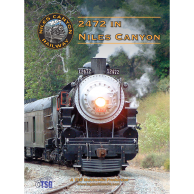 You’ll see Southern Pacific P-8 class 4-6-2 2472 on running on the Niles Canyon Railway near Sunol, California. Then it’s off to Colorado for some spectacular shots of 3-foot gauge Denver & Rio Grande Western C-18 class 2-8-0 315 running on the Durango & Silverton Narrow Gauge Railroad. Heading back to California, you’ll see the diminutive 42-inch gauge Poway Midland Railroad 0-4-0 No. 3 in the town of Poway near San Diego. Returning to Colorado and New Mexico, you’ll see recently restored 3-foot gauge Denver & Rio Grande Western K-27 class 2-8-2 463 running on the Cumbres & Toltec Scenic Railroad. As if that wasn’t enough, 463 is running doubled headed with K-36 2-8-2 487! K-36 484 also puts in an appearance. There’s more standard gauge in Steam Trains Galore, too! You’ll see Fillmore & Western 2-8-0 No. 14 running in southern California. Then you’ll be back in Colorado on the Rio Grande Scenic Railroad to watch another 2-8-0, No. 18, steaming through spectacular scenery. Back on the Durango & Silverton, you’ll see restored Eureka & Palisade narrow gauge 4-4-0 “Eureka”. Finally, you’ll see Santa Fe 4-8-4 3751 running through California and Arizona on its way to visit the Grand Canyon Railway. 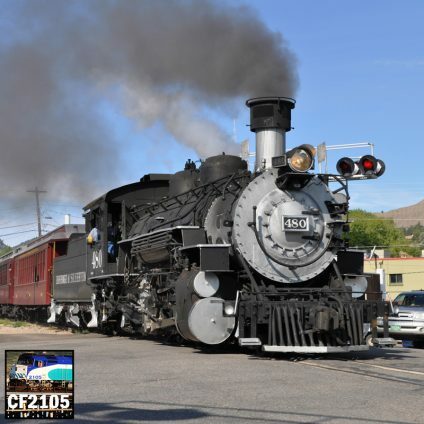 In Arizona the 3751 will team up with with ex-Chicago, Burlington & Quincy O-1-A class 2-8-2 4960! There are also a few surprises at the end, including one of the Amtrak heritage diesels. Steam Trains Galore is a truly spectacular video with high-quality, professional footage and excellent sound!